Altius is North America's leading industrial rope access training company headquartered in the vibrant city of Houston with training centers in Las Vegas, Houston, New Orleans, Calgary, Vancouver and Cape Town. We are members of both the Industrial Rope Access Trade Association - IRATA, and the Society of Professional Rope Access Technicians - SPRAT. 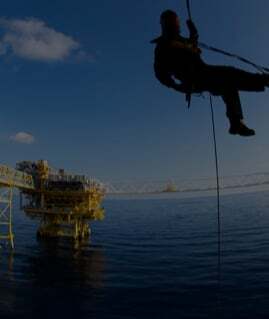 Our facilities provides quality training for experts in the rope access training industry to train and recertify. 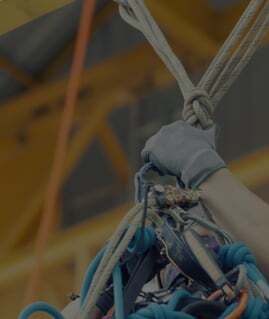 We specialize in the training of IRATA and SPRAT industrial rope access courses along with many other parts of industrial access and safety including confined space entry, confined space rescue, safe working at height, tower climbing and tower rescue, technical rescue, and first aid. Altius was born on the 12th December 2012 when our founder decided to create North America’s first independent, professional IRATA and SPRAT industrial rope access training company. Since that day in Las Vegas, Altius has stood at the forefront of professional rope access training, pioneering many new and exciting innovations including the use of various pieces of technology, newly developed teaching skills and advanced rope access training techniques. Everything you need to know from which certification is right for YOU, to how to prepare for your first day of class. BECOME THE TECHNICIAN THAT BEST FITS YOUR CAPABILITIES. FIND OUT WHICH IRATA AND/OR SPRAT LEVEL IS RIGHT FOR YOU.